Carlsberg UK is rolling out its first brand extension to San Miguel in a bid to compete with summer-time lager brands such as Sol, Corona and Brahma. 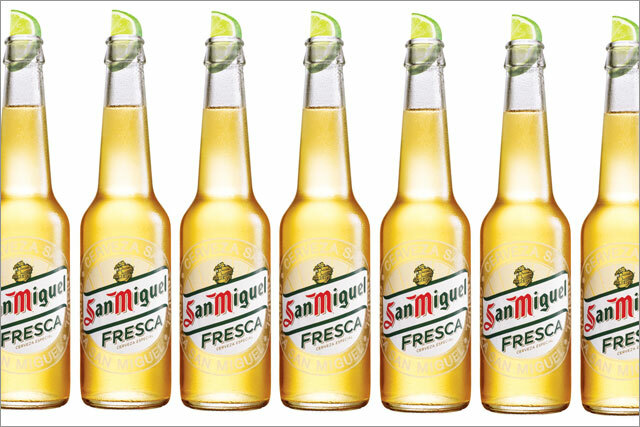 The new sub-brand, San Miguel Fresca, is described by Carlsberg as a "refreshing, crisp sunshine lager, best served chilled with a wedge of lime". "Fresca" is a word often used in Spain to describe a thirst-quenching, chilled drink. Developed as a result of a strategic partnership between Carlsberg UK and Mahou-San Miguel of Spain, the brewers have created a beer they believe will appeal to UK consumers, while retaining the Spanish character of San Miguel. The UK launch is being supported with a £6m marketing campaign which will include outdoor, press, digital and sampling. Saatchi & Saatchi is creating the ad campaign. David Scott, director of customer marketing for Carlsberg UK, said: "We're confident that we will attract new consumers to San Miguel Fresca, not only from other beer brands but also from other categories. He said Carlsberg's own research revealed consumers would be willing to "trade up" to Fresca. According to the research, the beer will attract an upmarket ABC1 consumer profile for occasions such as nights out with friends, watching live music, and al fresco dining or barbecue events. The product, which has an ABV of 4.4%, will be available to the on and off-trade from next month.